Back in 2012 I had an irrepressible urge to live and travel around India for 6 months. I had caught this overpowering travel bug before, when it took me across Cuba at age eighteen. I rarely know where these desires originate from, but somehow, somewhere a seed gets sown in my mind about a certain culture and place that grows into an itch that must be scratched. Signs of pollution across the backwaters of Alappuzha, Kerala. As I'm sure is the case for most female solo travellers in India, my experience was a mixed bag of positives and negatives, but I definitely built an affinity and understanding of this beautiful subcontinent that I still treasure. Cows grazing in a field in Hampi. Taking a dip in the Tungabhadra River in Hampi. With goats crossing the river behind us. Cashew nuts drying in the Goan sun destined to be turned into Feni later on. Learning how to steer a boat through the backwaters of Alappuzha, Kerala. On lunch break with our two captains in Alappuzha, Kerala. On many occasions, the most open and accepting people would reveal themselves where I least expected to find them. Beautiful ruins in Goa that were made openly accessible to all through the installation of a continuous concrete floor throughout. 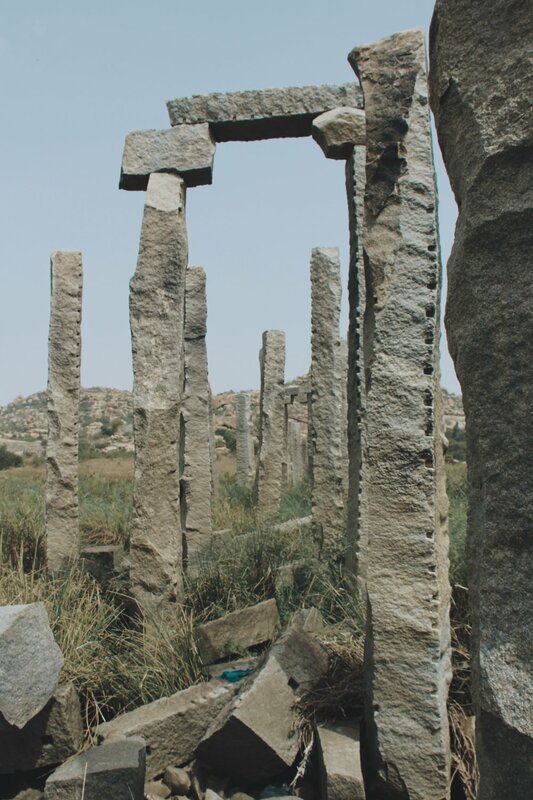 The elephant stables of Hampi. 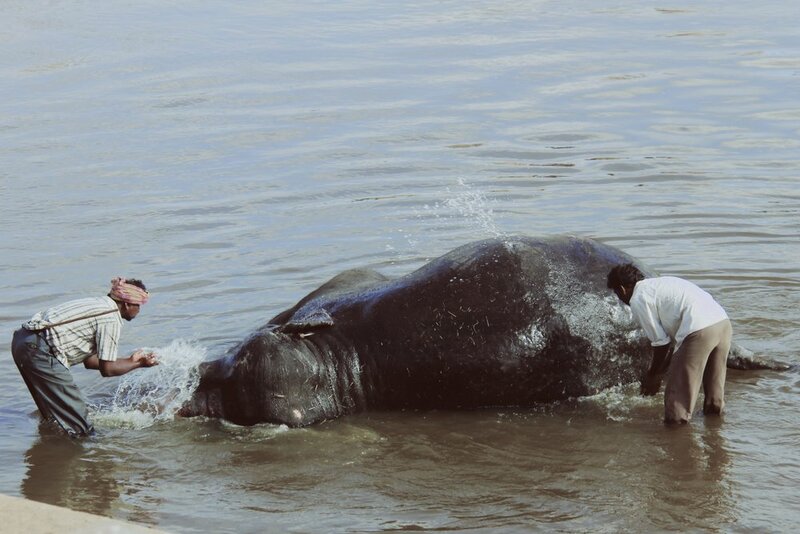 Bathing the Manakula Vinayagar Temple's elephant in Pondicherry. Looking back at these photos it's interesting to think that I travelled through a country that is generally labelled as being overpopulated, yet I've managed to return with photos that are largely devoid of people. The sun poking through the thick palm tree coverage in Goa. Hopefully you'll enjoy these little moments of wanderlust over the next few weeks and remember that you can also join me on some unforgettable retreats this Autumn in the Canary Islands.